Like fingerprints, no 3D printer is exactly the same. That's the takeaway from a new University at Buffalo-led study that describes what's believed to be the first accurate method for tracing a 3D-printed object to the machine it came from. 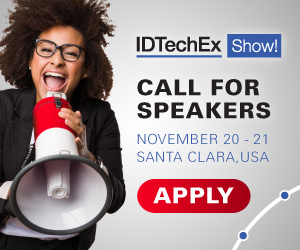 For more information see the IDTechEx report on 3D Printing 2018-2028: Technology and Market Analysis. Each layer of a 3D-printed object contains tiny wrinkles — usually measured in submillimeters — called in-fill patterns. These patterns are supposed to be uniform. However, the printer's model type, filament, nozzle size and other factors cause slight imperfections in the patterns. The result is an object that does not match its design plan. To test PrinTracker, the research team created five door keys each from 14 common 3D printers — 10 fused deposition modeling (FDM) printers and four stereolithography (SLA) printers. With a common scanner, the researchers created digital images of each key. From there, they enhanced and filtered each image, identifying elements of the in-fill pattern. They then developed an algorithm to align and calculate the variations of each key to verify the authenticity of the fingerprint.